We appreciate your interest in our inventory, and apologize we do not have model details displaying on the website at this time. Please fill the form out below and our team will quickly respond, or, please call us at (601) 914-4200 for more information. At our Hyundai dealership near Jackson and Brandon, we know that affordability is a big factor for many, and that’s why we have you covered with many different used cars from automakers of all brands. Drivers in Jackson now have a one-stop shop destination for some of the best lineups of large and compact SUVs, used sleek sedans, and powerful used trucks in Mississippi. We offer used vehicles for under $10,000 to appeal to those who don’t want to break the bank with a newer vehicle. Our certified pre-owned selection is another great option, as each vehicle receives a rigorous 300 point inspection before being displayed on our lot, guaranteeing the kind of quality and superiority you expect. We offer customers a large selection of certified pre-owned popular models from Hyundai. Hyundai was recognized in Autotrader’s 10-Best Luxury Certified Pre-Owned Programs for 2018, due to its 5-year/60,000 mile new vehicle limited warranty on CPO vehicles, and its additional 10-year/100,000 mile CPO powertrain limited warranty. Some favorite picks at our dealer include the always reliable Hyundai Elantra, Tucson, and Santa Fe, which were named Top Safety Picks for 2018 by the IIHS. Thanks to the fantastic safety and outstanding style of the versatile used vehicles at our Jackson and Brandon used car dealership, the only thing better than our selection is our used car incentives! Our special offers allow us to provide budget-friendly prices on many of our customers’ favorite vehicles. Local drivers should check back at our specials frequently, because we’re constantly adding new offers to our specials. For more specific questions about our Hyundai specials, our experts can also help you break down the details. 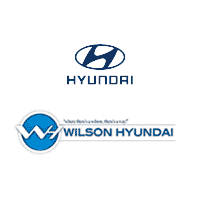 For more information on our pre-owned car specials, contact us at Wilson Hyundai.